In a statement released by Google today (14 March), the tech giant has introduced a ban on cryptocurrency ads, as part of the new regulations in their Financial Services policy. With effect from June 2018, all ads on cryptocurrency on its site will “no longer be allowed to serve”. 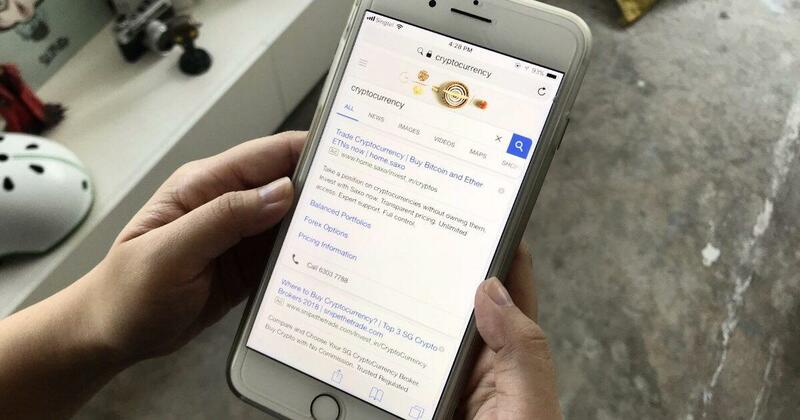 Ads related to “binary options and synonymous products” as well as anything related to cryptocurrency, “including but not limited to” initial coin offerings (ICO), cryptocurrency exchanges, wallets, and trading advice cannot be advertised. This move comes after a similar one by Facebook earlier this year. The motivation to ban cryptocurrency ads on Facebook is driven by “an effort to prevent people from advertising what the company is calling ‘financial products and services frequently associated with misleading or deceptive promotional practices'”. It also reported that legal and legitimate business are not spared from this rule, including “crypto-genius” James Altucher. Ads that flout Facebook’s new policy will be banned across all its platforms. Since Bitcoin was first created in 2009, cryptocurrency had been dormant, until the boom in the past 18 months or so. There are over a thousand different types of cryptocurrency as of September 2017, according to this source. Despite warnings by traders and bankers who see it as a high-risk investment more akin to gambling, people still jump on the crypto bandwagon after they saw it as a way to earn a quick buck with little capital – minus the paperwork. The decentralised and open-sourced technology behind cryptocurrency could also be the source of their confidence to trade such a new and unknown commodity. As popularity of trading crypto grew, so are scams, such as fake ICOs, fake exchanges, or cloud mining schemes. These crypto scams are causing a loss of $9 million a day, according to this report. Ironically, it’s the decentralised technology and “anonymous ecosystem” that makes it for green crypto traders to fall prey to crypto scammers. According to this, Alphabet, the parent company of Google, “makes roughly 84 percent of its total revenue from advertising” so it is crucial that they make their “ecosystem…safe and effective” for advertisers. For digital marketers in this era, buying ad space on the Google Display Network is pretty much a must-do. So is using Search Engine Optimisation so people can easily Google your business, and if your SEO needs a bit of a boost, Google AdWords is there for you. Your behaviour and searching habits are all tracked on Google. It’s a stretch, but by continuing to serve these ads to the uninformed user, the tech giant might inadvertently contribute to the increased probability of users getting scammed. Personally, I think this is a good move by both Facebook and Google from a consumer point of view, as it deters those who aren’t educated in the topic but want to strike it rich quick.